Serving Kentuckiana for over 70 years. Searching for a well-qualified HVAC company, many times is overwhelming. Futch Heating & Air Conditioning sets the benchmark in providing attention to detail of service and installation within a timely professional manner. Professionalism, dedication, and follow through is essential in satisfying our customer’s needs and expectations; located in Louisville, KY servicing Kentuckiana residents since 1947. Professionalism in providing solutions within your HVAC needs, our mission statement, continues to afford to our customers, nothing less than impeccable service in the fulfillment that will surely exceed in satisfying your needs. Our service within the residential and commercial systems, provide our community in addressing your HVAC needs, our continued dedication to customer excellence. Futch Heating & Air Conditioning continues to provide HVAC services at competitive rates, offering emergency service for our customer total convenience. Our company is a local based HVAC provider, capable of handling your HVAC issues on your system, regardless of their exact nature. Futch Heating & Air Conditioning, Inc. continues to meet and exceed your needs within a dedicated, professional, timely manner. Our company continues to service and install most major brands of HVAC equipment along with their accessories. Since 1947 a family owned and operated company has been serving greater Louisville, KY area and southern Indiana “Kentuckiana” for over 70 years. Also, we are fully licensed, insured and bonded. 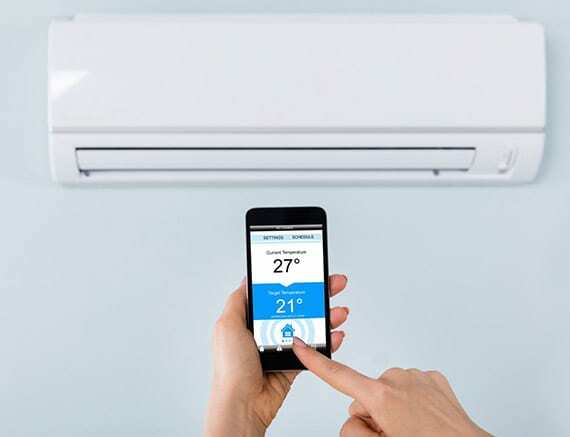 Including upon, an outstanding rating with Better Business Bureau (BBB), we offer free estimates on replacement units, including offering service agreements “yearly” for our customer’s piece of mind. Futch Heating & Air Conditioning, Inc. is here to meet your needs and wants in a professional manner. We service and install most major brands of heating and air conditioning units and their accessories. Futch Heating and Air Conditioning, Inc. has been servicing the greater Louisville area, southern Indiana, and surrounding counties since 1947. We are a family owned and operated company. Also, we are fully licensed, insured and bonded. We have an outstanding Better Business Bureau rating - click here to review. 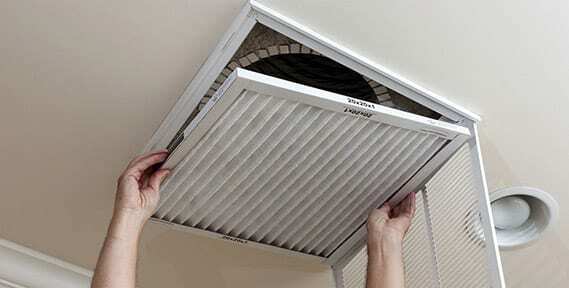 We service and install most major brands of heating and air conditioning units and their accessories. We specialize in residential and commercial systems. We offer free estimates on replacement units only. Click here to request an estimate. 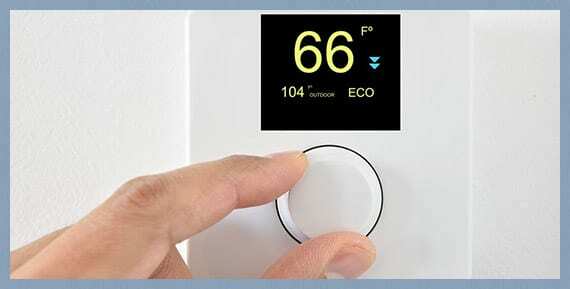 Our goal is to meet your heating and cooling needs and provide the most value for your dollars. Contact Us at 502-239-8626, to make sure your HVAC is in the capable hands of our outstanding professionals! All Furnace Repair Went Above And Beyond My Expectations! Futch Heating & Air Conditioning Inc was fantastic! They cleaned and checked my furnace and also replaced a missing piece that secures the filter in place. They showed up on time as promised. All went above and beyond my expectations! Thank you! You Are Fantastic Heating Contractor! Our old heating system was costing us a lot of money in utilities. Futch Heating & Air Conditioning's technician came out and told us about the best possible solution for our home. And they installed the new systems the next day. It is quieter then our old system and our electric bill had dropped significantly! My AC just went out yesterday. It turns out that the system was low on Freon. Futch Heating & Air Conditioning Inc in Louisville, KY made a check to locate where was the problem. They changed the leaky valve and made sure my unit is working fine. I definitely recommend these guys! My Furnace went out and had several quotes. Rick Futch was the only one that was a down to earth person. Asked me what I wanted with warranty, brand, budget and recommended several different options. Rick delivered a very nice price to install the furnace with everything the other companies could not. The installers showed up at the time we scheduled. VERY PROFESSIONAL! The timeframe from quote to install was only 3 days! Thanks again to Rick Futch! My air pump refused to work. I was wondering which company to choose for the repairs, but fortunately, a friend of mine recommended these guys. Now everything is back on track. Great work, thank you! I called Futch Heating & Air Conditioning Inc and I was assisted immediately. I talked to them and made an appointment for a house inspection and estimate. They came over, checked our house made some measurements, We discussed our options and they took the time to explain the differences. We made a deal over the phone and the system was installed by a extremely nice, clean, professional crew. Thanks a lot! You are the best repair services in Louisville!! Thank you! © 2019, Futch Heating and Air-Conditioning, INC. All Rights Reserved.